Just like the colour schemes you pick, the lighting you choose or even the little details of decor in your home such as cushions and throws, fragrancing a room has the potential to completely change its feel and ambience – and the mood of those in it! So how can we give our homes a pleasant atmosphere with aromatherapy? Our sense of smell is directly linked to the limbic system in the brain which is involved in emotions and memory, which is why aromatherapy can have such a noticeable mood-changing effect. Think about how you feel when you smell a familiar smell and it takes you back to a particular moment. Pine, for example, could evoke happy memories of decorating the Christmas tree; rose the delicate fragrance of your favourite garden, and so on. Wonderfully versatile, the natural aromas of essential oils have the power to uplift and refresh, bring focus and clarity or soothe and relax. Here are a few ideas to help you create your very own home sweet home. Sometimes you might want the bedroom to be conducive to a nice peaceful slumber, other times you might want to create more of a sensual mood. Among the most aphrodisiac of oils are jasmine, rose, sandalwood and ylang-ylang. A few scented candles with the mix of sweet, intoxicating and exotic aromas of these oils in the bedroom will set the scene perfectly for romance. If you find it difficult to switch off at night due to worry or anxiety, for a peaceful night’s sleep, instead of using candles try some home aromatherapy with, a drop of chamomile, sandalwood and lavender on a tissue next to or under your pillow. 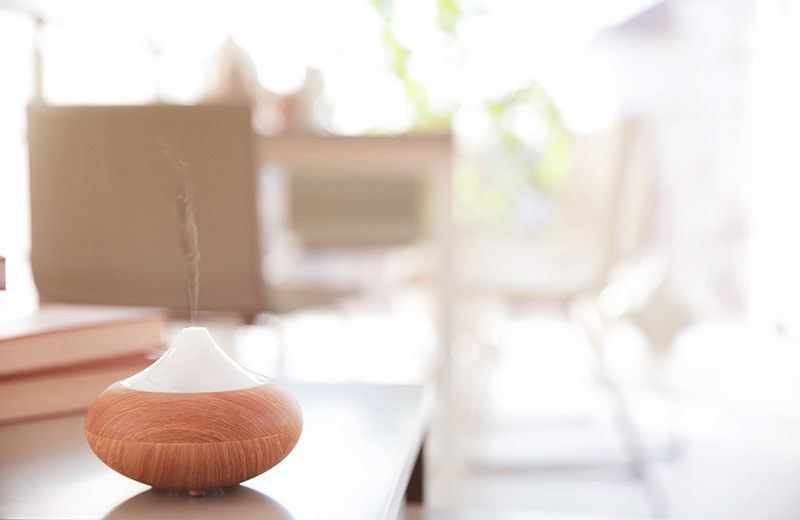 A diffuser which disperses the essential oils in the air around you can help you speed through those boring but necessary life admin tasks, breeze through your studies or help you finish off that last-minute presentation for work. Next time you need to be on-the-ball and focused, try diffusing the powerful home aromatherapy blend of eucalyptus, peppermint and basil essential oils (avoid during pregnancy) around your office or study at home to lift a sluggish mood and clear the head. Eucalyptus is also a powerful antiseptic that will kill airborne germs. As a general rule, add 3-5 drops of essential oil per 100ml of water in your diffuser. Delicious aromas wafting from the kitchen already make a house feel like a home but here’s an idea for those times when you want to freshen up the kitchen after preparing your food. To get rid of lingering cooking smells, make a kitchen spray mist by mixing together 6-8 drops of lemongrass essential oil with 500ml of water in a plant spray. Shake well before spraying into the air. (Avoid spraying on polished, wooden surfaces etc.). 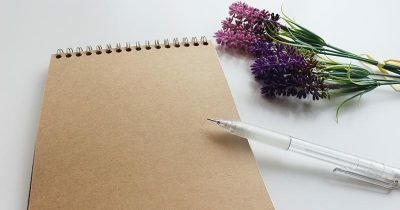 Other oils which would blend well with lemongrass in the kitchen include lavender for a more relaxing ambience or peppermint for a sharper punchier scent. Home aromatherapy can certainly help to create a relaxed and cheerful ambience and encourage the conversation and laughter to flow in the dining room. A lovely light fragrance that isn’t overpowering and will appeal to most people is a citrus blend of tangerine, bergamot and lime. Diffuse around the room for a sunny joyful scent that will leave everyone feeling bright and happy. Who knows, you might even get a hand with the washing up! With the living room being such an important room in the house, chances are you will already have given a lot of thought to its overall look and feel and will want a fragrance to complement your theme. You can simply be guided by what smells best to you but by home aromatherapy you will learn how to mix your own combinations of essential oils, covering which work well together and their mood-enhancing properties. A lovely warming blend for a cold winter’s day is ginger, orange and sandalwood. Or, for the warmer months try bergamot, geranium and lavender. Place a drop of each on a cotton handkerchief and slip inside cushion covers (take care not to damage fabrics). The best way to spend 15 minutes has to be sinking into an aromatherapy bath. Not only will the aromas fragrance your bathroom, you can enjoy all the therapeutic benefits of the oils too. While there are lots of wonderful bath oils available – our favourites include Aromatherapy Associates Deep Relax Bath & Shower Oil – if you study aromatherapy you will be able to confidently blend your own oils according to your mood. Neroli, lavender and geranium is a lovely blend to switch off with at the end of a busy day. Mix 2 drops of each with 20ml of carrier oil of your choice (or milk) and swirl into hand-hot water. Many aromatherapy essential oils are contraindicated for use during pregnancy and for those with certain health conditions, such as high blood pressure and epilepsy so always check with a qualified practitioner if you have a pre-existing medical condition. Also, please take care when using essential oils/candles in the home if you have children or pets/animals. Never leave burning candles unattended. Essential Oils Business Diploma Course by 50%.